From the moment you turn into the driveway, entering the park-like grounds, you can sense something special and this lifestyle is special indeed, with the home and grounds immaculately presented throughout. 3 double bedrooms, ensuite and walk-in-wardrobe which all has recently been redecorated, with stone bench tops, new kitchen appliances plus new paint and carpet. 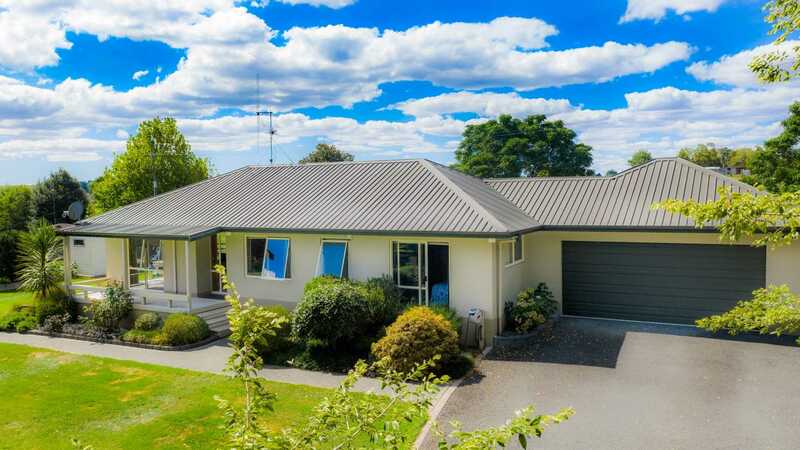 3361m² made up of 2 post and railed paddocks plus the house site with its 2 accompanying garden sheds and plenty of room for parking of motorhomes, boats and toys. A delightful manageable lifestyle block situated in a sought after area just waiting for you to take possession and enjoy its ambiance. Mandy Lata 027 - 679 2224.